Because of the imperfect shape and the irregular weight, these tuos were not sold as products. Different qualities tuos were put together and stored in the tea factory warehouse for many years. Until 2008, these tuos were bought by collector. Most tea come from around 2000s. Wuzhou storage, which is humid and give to liubao tea unique character, different with Malaysia storage. 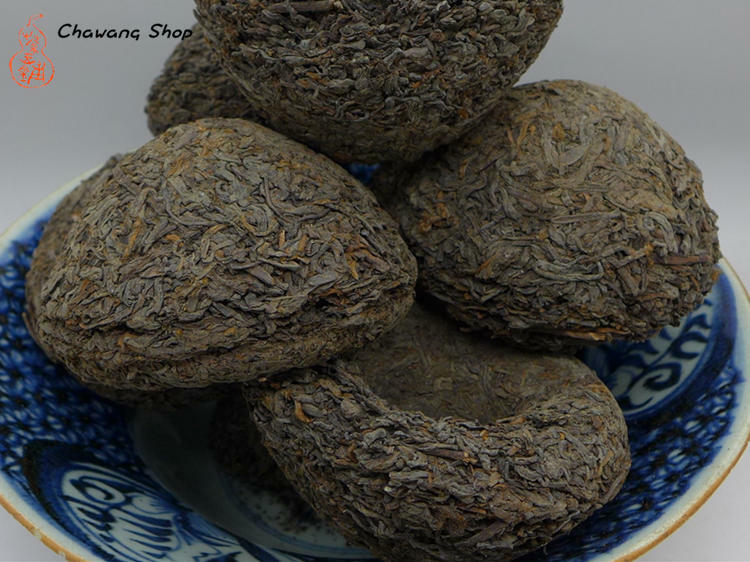 Since each tuo has a different weight, some are only half of the tuo, we will offer 80g which means 1 unperfect tuo and little loose leaves, or two smaller chunks of tea with some loose leaves. 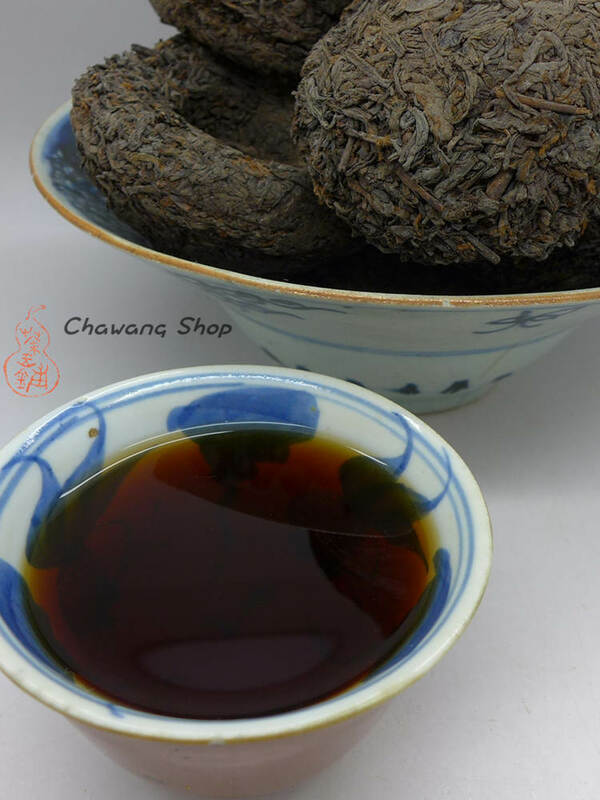 Deep red tea soup, mellow sweet and aged taste. 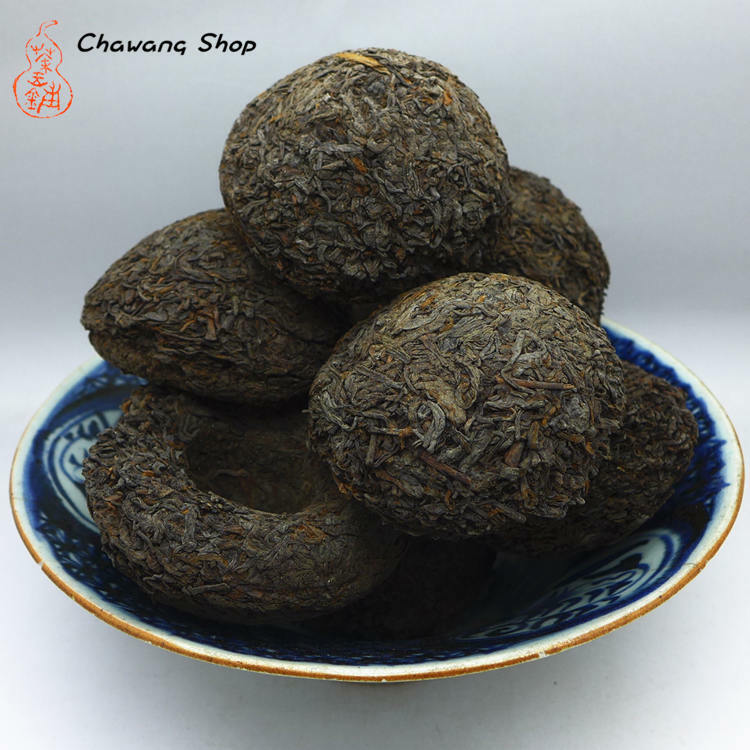 High grade tea leaves used only, better use less leaves and make quick steps.